Floor sanding and polishing in Melbourne is our speciality. We recommend non-toxic products for your home and have a wide range of products, colours, and finishes for you to choose from. Our careful procedures ensure our high quality standards. Depending on the type and condition of your hardwood floor, we follow these general steps: First, we sand the floor to remove any old marks and scratches to smooth out the entire floor. The type and amount of floor sanding varies, so we always carefully inspect your floor before beginning this process. We then optionally stain the wood in the colour of your choice. We offer many different types of wood stains to choose from. Some customers prefer the natural look of the wood, but options exist to darken and change the hue of floorboards making them look like a different type of hardwood or even a very dark colour for a dramatic effect in your room with contrasting walls and ceilings. In all cases, we offer non-toxic products to give your floors additional protection. The non-toxic options are considered generally safer and don’t have a strong odour like some other products have as they dry – this is why we usually recommend them. 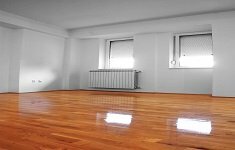 We end the process by polishing your floorboards with a top-coat to add shine and protect your floor from marks and blemishes over time. The top-coat can save your floorboards from mild scratches and allow for light sanding and refinishing from time to time without damaging the actual wood. Call us now on 0402 093 872 for a professional service that will leave your floors looking like new again.